For more than a decade, a Baptist preacher in Oklahoma has been what he calls "a lonely voice in the desert." Pastor Wade Burleson asked the Southern Baptist Convention to protect his flock by creating a database that tracks church workers accused of sexual abuse. Such a list was published on Monday, but not by Baptists. The Houston Chronicle and San Antonio Express-News in an extensive investigation named 220 pastors, ministers, deacons, volunteers, Sunday school teachers and others who were found guilty of sexually abusing parishioners over 20 years of age. More than 250 have been accused. And approximately 380 leaders and volunteers from Southern Baptist Church have faced accusations of sexual misconduct that involved more than 700 victims, according to the report. That includes those who were convicted, credibly accused and sued successfully. Some of the victims were sexually abused and others as young as 3, according to the report. The one-year media investigation also found that three dozen pastors and workers suspected of being predators continue to work for Baptist churches. "What saddens me the most is that we did not do it ourselves," Burleson told NBC News about the report. "That's why you need a free press in the United States." 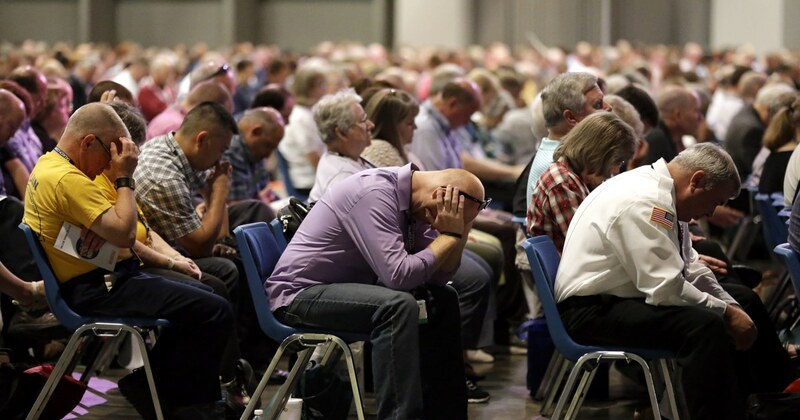 Calling the report "a blow to the stomach," Burleson predicted that it would lead to real change in the way the Southern Baptist Convention, the largest Protestant organization in the country, deals with a problem that has also forced a recount in the Roman Catholic Church. and the Orthodox Jewish community. "The analogy I would give is this: I recently had a cancerous lesion removed from my skin and it hurt and the hole that was left behind was deep … Was it good? No, it was necessary." "They can avoid an Oklahoma pastor who is a lonely voice in the desert, they can not avoid this," said Burleson. "This will ensure that action is taken." Burleson said he intends to renew his call to have an independent non-profit organization and monitor a database of church predators. The president of the Southern Baptist Convention, J.D. Greear responded to the report in a series of tweets, declaring "we should have been fighting for the" victims, and swearing to stop the "predators among us". He also called for a "generalized change" and, in apparent reference to the relative independence of the individual Baptist churches, said that "the autonomy of the church should never be a religious cover of passivity to abuse." Then, last year, in the midst of the #MeToo movement and accusations against several prominent Southern Baptist leaders, Burleson once again called for the creation of such a database. "Southern Baptist pastors must recognize that we have a responsibility to protect women and to protect children from men, especially ministers, who move towards them in sexual or physical abuse," he told reporters. The convention ended up approving a non-binding resolution that condemns all forms of abuse and support for victims. "We call on all people who commit and allow abuse to repent and confess their sin to Jesus Christ and the authorities of the church and confess their crimes to the civil authorities," reads. Lesley Wexler, a law professor at the University of Illinois, who studies how large institutions react to the #MeToo movement's demands for change, said she does not share Burleson's optimism that the Southern Baptist Convention will make significant changes. "Sometimes, institutions are reformed when massive bad behavior comes to light and others do not," he said. "If you think about the Catholic Church and the consequences of the Boston Globe reports, even today we do not see them being as proactive as they should be." When asked what else the Southern Baptist Convention could do to protect parishioners, Wexler said that "they could be more explicit about the conditions under which they should break off affiliations with local churches that hire people with complaints against them. " "Another thing I have not seen is a lot of discussion about the use of positive moral persuasion," he said. The convention should draw up a list of best practices and reward churches that, among other things, "help identify bullying behavior," he said. "There are many things that the SBC can do if it has the political will," he said.